Lot’s going on as ever…and this is always very hard to put together without getting too carried away! Podcast 3 from the Two Jonnys coming your way this Thursday too…looking forward to that. 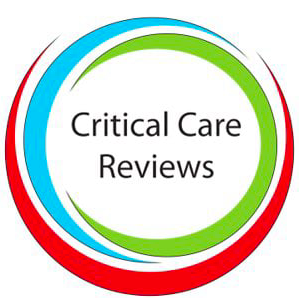 Thanks also to Rob MacSweeny, as ever, for his hard work trawling about and putting together the always up to date Critical Care Reviews Journal Watch. A lot of what is here, I got from his updates this week! Great piece here by CC Nerd. This highlights a pragmatic study done in 4 ICU’s where patients were placed into either the sniffing or ramped positions during the intubation process. Between trials done in the past, there seems to be discrepancy in what they actually mean by these positions. Semler et al’s definition of the sniffing position is fairly in line of what has traditionally been defined as a ramped position. Essentially these authors examined which method of aligning the ear to sternal notch resulted in better intubating conditions. The median lowest oxygen saturation did not differ between the two groups (92% (79-98) vs 93% (84-99%) p=0 .27). The patients randomized to be intubated in the sniffing position experienced more episodes of desaturation below 80% than those in the ramped position (28.3% vs 20.5% p=0.14). Therefore, perhaps we are focussing too much on getting the tube down first time and forgetting about the most important stuff…doing it without compromising oxygenation or causing horrendous CVS collapse! SO, they are bad for you, we all know that. But this is an interesting one…their link with ARDS! Well…there isn’t one in this meta analysis…damn it! I can’t use this one to promote abstention amongst our patients then! In aggregate, the study demonstrates that cigarette smoking is not associated with increased risk of ALI/ARDS in critically ill patients. However, the relationship in general population is still controversial and requires further con rmation. We all need a SBT! An amazing 40% of a patient’s time on the ventilator is spent attempting to wean them off, so successful weaning to extubation is certainly an area well worth looking at, from various points of view. So, this meta analysis showed SBT success was 6% more likely with PS SBTs. Meta-analysis also showed a 6% higher probability of successful extubation following PS (vs T-piece). PS SBTs may lead to more successful initial SBTs and extubations by overcoming a portion of the pressure gradient across the endotracheal tube, low levels of PS or CPAP provide minimal but potentially important support during an SBT. The other thing to note his that no SBT trial can predict what the patient’s pathophysiology is going to do once the tube is out (muscle fatigue, cardiac decompensation etc). So, maybe PS is the way forward….so should we bin the t-piece? ARDS still hits you…even after you’re out! It’s one of the most feared complications for your ITU patients! And it definitely has longer term morbidity implications. You’re never quite what you were before it happened if you survive, even if you are a ‘spring chicken’! This US study looked at HCA costs found that 40% of ARDS survivors reported at least one post-discharge hospitalization during 12-month follow-up. Few variables from the actual ICU stay had much impact on this, but physical, psychiatric, and quality of life measures at 6-month follow-up were associated with subsequent hospitalization. Interventions to reduce post-ARDS morbidity may be important to improve patient outcomes and reduce healthcare utilization. These substances normally circulate in the bloodstream or are bound to cell surfaces such as polymorphonuclear neutrophils, endothelial cells, and platelets. Some of these go ‘haywire’ in sepsis where excessive recruitment of defence cells and the release of a cascade of cytokines leads to over-activation of the entire inflammatory cascade and complement system, which, along with activation of the contact system, results in a potentially dramatic clinical picture, characterised by excessive vasodilation, and capillary leakiness. So, we need to do further work on this in humans, as this article outlines various successful therapies to counter it in animal models…watch this space. We all measure the IVC…well try a different approach! This isn’t really groundbreaking, but I was chatting about this on Twitter with @Iceman_ex about this. He was advocating the ‘rescue view’ of the IVC. So, he pointed me in the direction of this paper. Said view is the final pic here and one to try. It seems IVC measurement reproducibility is lowest in ‘M’ mode Vs ‘B’ mode amongst sonographer physicians…that surprises me. But…it is the good old traditional LA view we all choose to do which shows the greatest reproducibility….this shouldn’t stop you from gaining experience with the other views though. So, ones to try! With 50% of ICU patients having a deficiency in Vit D, it’s no surprise this is being looked at further! Also, see our piece on Vitamin D. Hypovitaminosis-D has been linked to increased mortality, length of stay (LOS) in intensive care unit (ICU) and hospital, and respiratory disorders with prolonged ventilation. This was a meta-analysis of randomized controlled trials (RCT) conducted on heterogeneous ICU patients comparing vitamin D administration to placebo. Evaluated outcomes included mortality, infectious complications, hospital/ICU LOS and length of mechanical ventilation. Only 6 RCT were included in the end. In critically ill patients, Vitamin D administration does not improve clinical outcomes. The statistical imprecision could be explained by the sparse number of trials. See also this article on Vit D! Seems deficiency doesn’t only prolong your stay with us on ITU potentially…but it has been linked to a myriad of other morbidities as well! Does it matter how we humidify?…evidently maybe! Here is a promising one. We have seen the effect TXA has on morbidity and mortality in major haemorrhage from various causes. So what effect would administration of Fibrinogen concentrate have? Another really nice one to look out for folks. Acute pancreatitis is a killer condition and can lead to all sorts of horrendous morbidities. So will epidural analgesia help these patients out? How can epidurals help these guys out? Patient are to be randomised to EA or standard care. Clinicians can’t be blinded, but it holds promise. Similar one to a mention in last week’s blog, but these drugs are being used more and more often in our patient population. This summarises things very nicely! Things you maybe don’t want to see!! It’s also nice to see that we are all picking up on similar topics in pour trawls of the world of FOAM. Have a look at LITFL’s latest here too. Thats about all for now folks….see you for the next excerpt this Thursday.